High Meadow was the first property obtained by the land trust. It was donated in 1980 by Stanley Lesser as part of his development of homes near the corner of Birge Park Rd. and Lake Harwinton Rd. 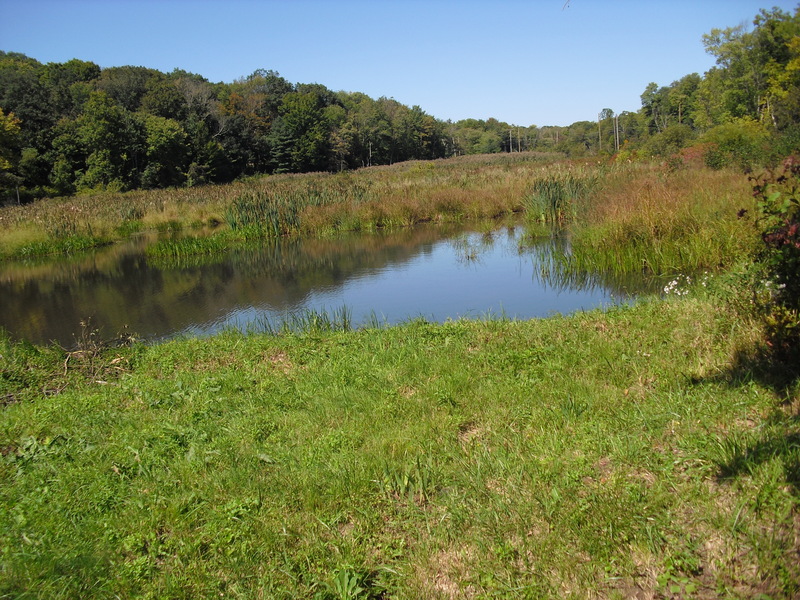 It is 6 acres in size and entirely wetlands. The land trust sees no need to provide public access to this property, but does occasionally perform roadside litter pickups. The main function of High Meadow is to protect the headwaters of Leadmine Brook, as it enters Harwinton from the more densely developed watershed in Torrington. It also provides a protective habitat for wildlife. The land trust wishes to thank the Thomaston Savings Bank Foundation in 2015 for a grant to support a professional survey of the area.